As Xenoblade Chronicles 2 draws near, more and more Rare Blades are being revealed by the Japanese Twitter account. One such reveal happened today in the form of a familiar face: KOS-MOS from Xenosaga. 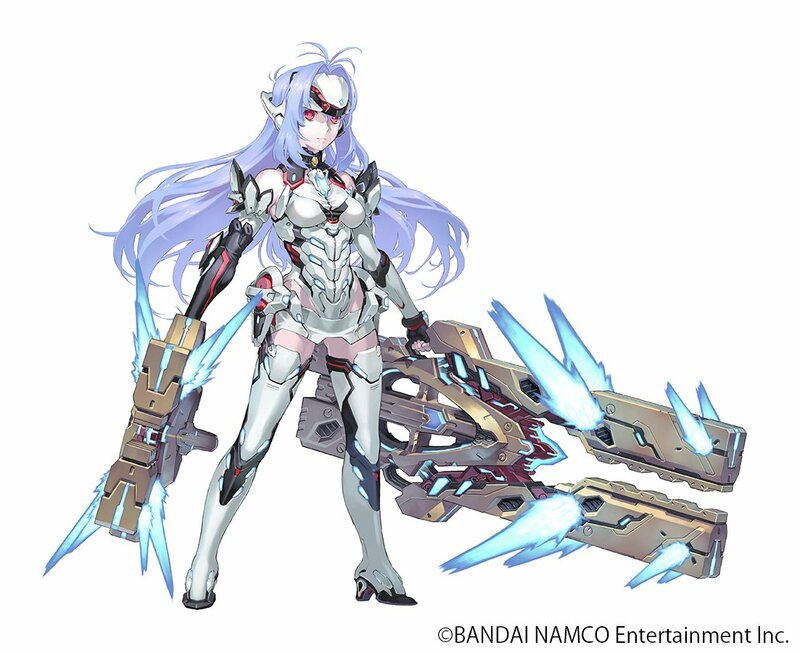 Named KOS-MOS Re: in the game, her new design was created by Kunihiko Tanaka, character designer for Xenogears, Xenosaga Episode I: Der Wille zur Macht, and Xenoblade Chronicles X. Mariko Suzuki, who has portrayed KOS-MOS in every appearance over the years, will reprise her role. It is unknown at this time whether or not Bridget Hoffman, who portrayed KOS-MOS in Xenosaga Episode I and III, will reprise her in the English dub, but since Nintendo of Europe is producing the dub, I have my doubts. This won’t be the first time Xenosaga and Xenoblade have mingled together. KOS-MOS and Fiora teamed up in the strategy RPG Project X Zone 2 just last year. Before that, KOS-MOS has made several cameo appearances, such as Soul Calibur 3 and Super Robot Taisen OG Saga: Endless Frontier. Along with KOS-MOS, several artists, including Soraya Saga, have contributed designs for Rare Blades that can be unlocked throughout Xenoblade Chronicles 2. Each Driver party member is allowed to equip up to three Blades that can be swapped on the fly. Each Blade provides different stats, weapons, and elements to whatever Driver they are connected to. Xenosaga was Monolith Soft’s earliest series, spawning four PlayStation 2 games (one being a side game titled Xenosaga Freaks), a DS game, a cell phone game, and an anime. Unfortunately, the series ended prematurely back in 2006. Xenoblade Chronicles 2 releases on Friday for the Nintendo Switch.